The idea and realization of People’s Museum could be situated anywhere in the world, but its location in occupied Palestine gives it a special significance. In a country where people cannot travel freely – but where their tales and objects can – the intention is to spread the idea so that knowledge and culture can be shared. Palestinian culture is usually neglected and suppressed by occupation forces with the intention of denying its very existence: since there is no Palestine, there can be no Palestinian culture. In this context, a museum exhibition showcasing historic and everyday Palestinian culture also becomes an act of resistance. People’s Museum is not about the occupation, the wall, the settlements or the checkpoints, but they are reflected both directly and indirectly in the conditions of everyday life in Palestine. People’s Museum is a meeting between very different worlds – an occupied country and its people meeting a group of Danish artists who can travel in and out of Palestine. The aim is to show a varied picture of Palestinians. “We want to tell the world about Palestinian life, cultural heritage, dreams, fun, problems etc.” – a life that is difficult for many, but it persists in spite of the occupation. This is a project about interconnection between people, the commonalities and differences. The first phase – with an estimated budget of US$8m – will cover 2,500 m² and is expected to be completed by 2014. The second phase of approximately 5,000 m² will be developed following the opening of phase one. More than 40 architects practices entered the international design contest for the Palestinian Museum. The selection process commenced in June 2011 with over 40 architects submitting expressions of interest in the project. 5 Architects were shortlisted and invited to prepare initial conceptual and technical submissions. Presentations were made on 2 and 3 December in London by the 5 Architects; Consolidated Consultants from Amman Jordan, Edward Cullinan Architects from London, Henning Larsen from Copenhagen, Heneghan Peng from Dublin and Moriyama & Teshima from Toronto. The Palestinian Museum will be designed to be constructed in 2 phases with the first phase of 2,500 m2 to be completed by 2014. The construction budget for the first Phase will be approximately US$8 million. The second phase will be in the order of 5,000 m2 and will be developed following the opening of Phase 1. The Palestinian Museum will a unique cultural project and is being developed to become the primary and most authoritative source of knowledge and new thinking about Palestinian history, culture and contemporary life. Such a space does not currently exist. The Museum is conceived as a thematic rather than simply a narrative museum, in which many different aspects of Palestinian history and culture will be explored in innovative and revealing ways, creating debate and discussion about both past and contemporary themes. The Palestinian Museum project has been in gestation for over a decade and has gone through a number of different stages of debate, thinking and rethinking. After a great deal of internal discussion and external consultation, the Welfare Association is now totally confident that the overall strategy and concept direction allow for the Palestinian Museum to be built. Because of the nature of the Palestinian reality, where a majority of Palestinians are today living outside historic Palestine (i.e. Israel and the Occupied Territories); and because of the barriers and checkpoints erected by Israel which prevent the freedom of movement of Palestinians living under occupation (and prevent most Palestinians in the Diaspora from even entering any part of their country), the Museum is conceived as a hub which, in addition to catering to the population in the West Bank, will also serve a network of branches and associated centres, sharing with them information, research, web-based material and touring exhibitions, as well as human resources and expertise. As any other museum in the world, the Palestinian Museum will hope to attract the largest possible number of visitors. Realistically, however, given the restrictions that exist for Palestinians, it can only hope to physically serve West Bank Palestinians in the near future and of course international visitors (Palestinians or non-Palestinians with Israeli citizenship are legally forbidden by Israel from entering Area A in the Occupied Territories, where this museum will be built). 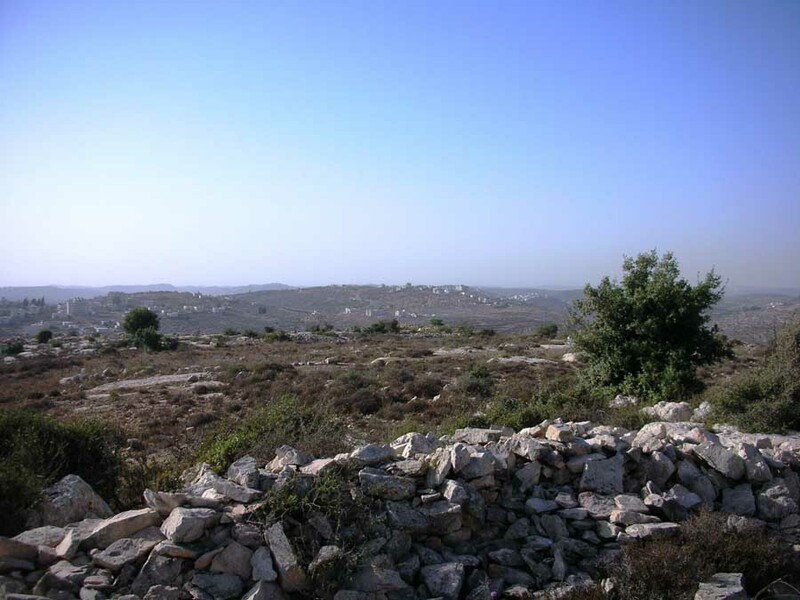 It will have an extensive outreach programme and will also benefit from its proximity to Birzeit University, north of Ramallah, which generously gave the project 40,000 sq metres of land on a very long lease. Welfare Association is a private, non-profit association established in 1983 to support Palestinian society in sustainable development. WA beneficiaries are the more than 4 million Palestinians who are served by Palestinian non-governmental organizations, community institutions and charitable organizations in the West Bank, Gaza Strip, Galilee, Jaffa, Akka, Nazareth and Naqab, as well as in refugee camps in Lebanon. WA works by strengthening local organizations, and assisting them in improving their services to the community and in promoting Palestinian culture, heritage and identity. HPA take a multi-disciplinary approach to design and have collaborated with many leading designers and engineers on a range of projects which include larger scale urban masterplans, bridges, landscapes and buildings. The Architectural selection process was organised by Projacs of Kuwait and Cultural Innovations from London. Projacs are providing Project Management services for the Palestinian Museum. Cultural Innovations are Museological and Strategic Advisers and have worked for 2 years with the Welfare Association to develop the Strategic Plan and Design Briefs which are the basis for the Palestinian Museum’s development.